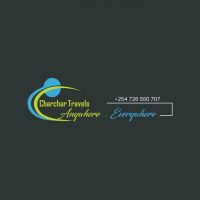 Author's descriptionCharchar Travels presents you with the best & affordable transport to any Kenyan destinations. This includes hiking,day trips,road trips, safaris, trekking, extreme sports,cycling,camping,party in the wild, & all outdoors activities. holidays,Conferences & retreats We are meant for you if you have an adventurous spirit and an undying love for all things natural. Just in case you are also an appreciator of the ‘good life’ and revel in the flurry of colors and sounds in the urban jungles and popular white Sunday beaches,Kenya Outdoors is there too. We turn dreams into reality. Images of predators stalking and tracking prey in rolling savannah grasslands, elephants trumpeting at watering holes and hundreds of thousands of wildebeests galloping across the Mara River,Over 100 Game sanctuaries,reserves & National parks you are certainly brought into reality. 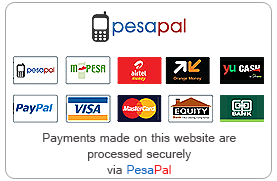 We welcome you to Kenya & East Africa, the home of the ultimate safari experience. Enjoy your time with us and have fun!! !